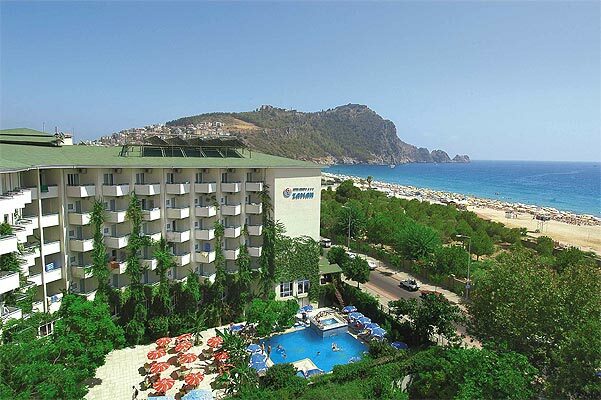 Situtated in Alanya, Antalya airport is just 125 km away. 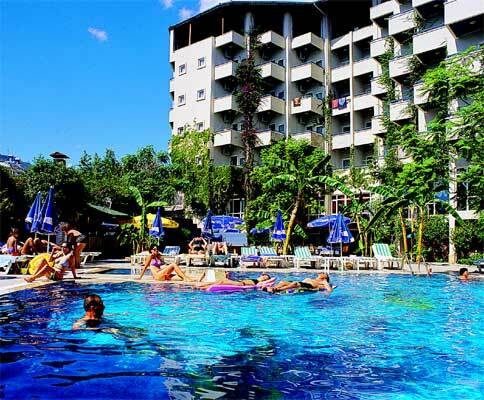 Lobby, restaurant, a la carte restaurant, poolbar, swimming pool with children's section and jakuzzi, billiards, table tennis, fitness, massage, Turkish bath, meeting room. 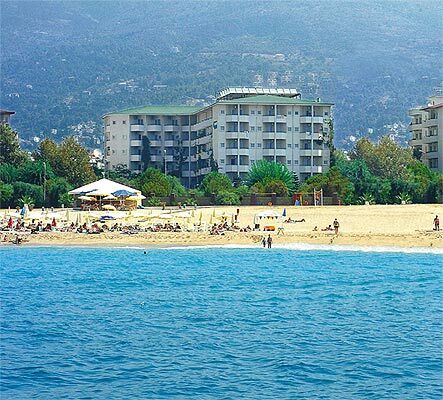 Imported drinks, fresh fruit juices, telephone, safety box, billiards, table tennis, doctor, massage, internet, all food and drinks on the beach, water sports. 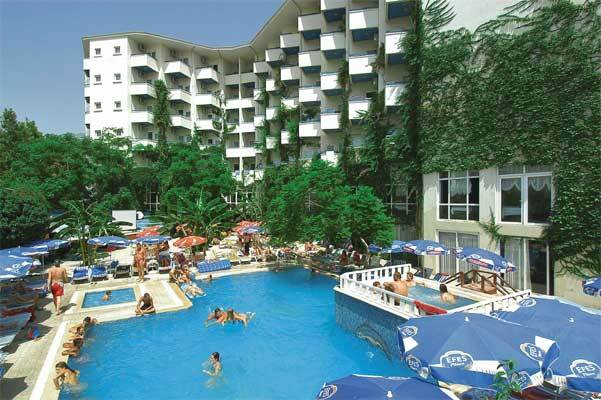 Minbar, bathroom with shower and hairdryer, telephone, sat TV, split air-conditioning, balcony. Famous sandy Cleopatra Beach is easy reachable by passing a coastal road. Sunbeds and umbrellas payable locally. Late breakfast, coffee break in the afternoon, snack /12-00-15.00/. Minibar refilled every day with water and soda.